Published: 2013-07-10, by Ana Gracia. The interface makes it really easy for you to play: touch an empty slot to make a selection and tap a tile from below to place it on the selected slot. If you don't know what to do next, tap on the top right button to get a hint. 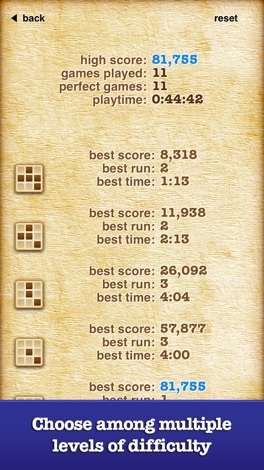 In addition, touch a tile to highlight all those numbers and change the mode by tapping on the bottom right corner. First of all, choose your difficulty level and start to play, trying not to make any mistakes to obtain a high score and keep doing so to get achieve as many runs as possible. 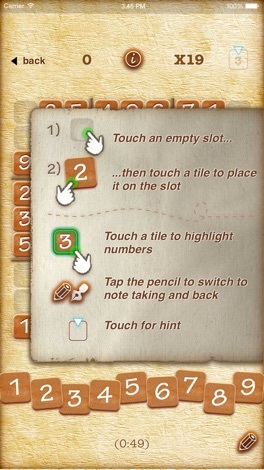 Finger Arts is the developer of this amazing Sudoku application for iOS, with a perfect design and usability and the highlighting feature, which makes it easier to play and much more saisfying. 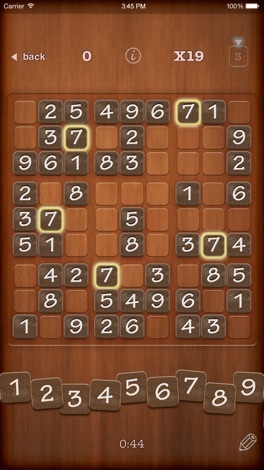 Play your favorite classic game with new features and an excellent design. 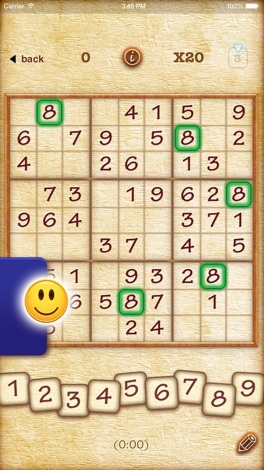 Are you still a fan of Sudoku? This iOS application is the natural evolution of the classic game, with all the basic features and new additions like a smart point system based on a series of factors, a high score ranking and run ranking The interface makes it really easy for….